You know the saying: If life gives you lemons, make lemonade! But why limit yourself to lemonade when there are so many other wonderful things you can do and make with lemons? Here are 9 great tips and tricks to get you started. Brighten your whites and eliminate unpleasant odors in your washing machine by adding some freshly squeezed lemon juice to the detergent compartment. If you have a top load washer, simply pour in the lemon juice during the rinse cycle. 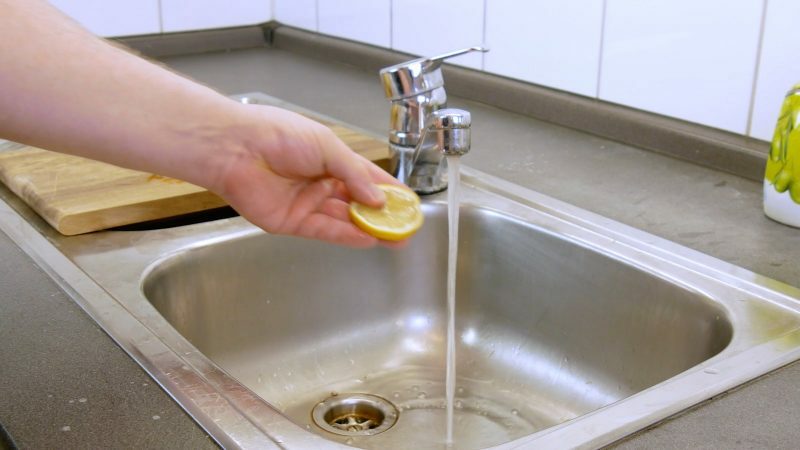 You can also remove unpleasant or strong odors from your hands by washing them with a slice of lemon instead of soap. 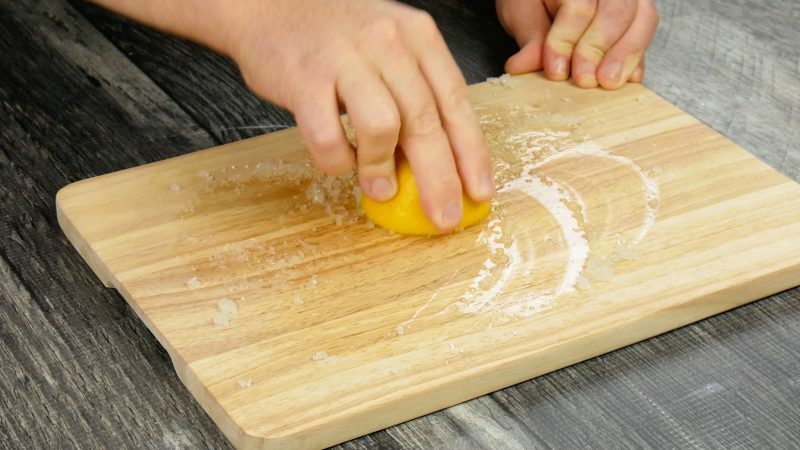 On the other hand, if you want to you remove unpleasant odors from your kitchen board, all you have to do is spread salt on the surface of the board, press the cut surface of a halved lemon into the salt, and then rub it back and forth over the board. 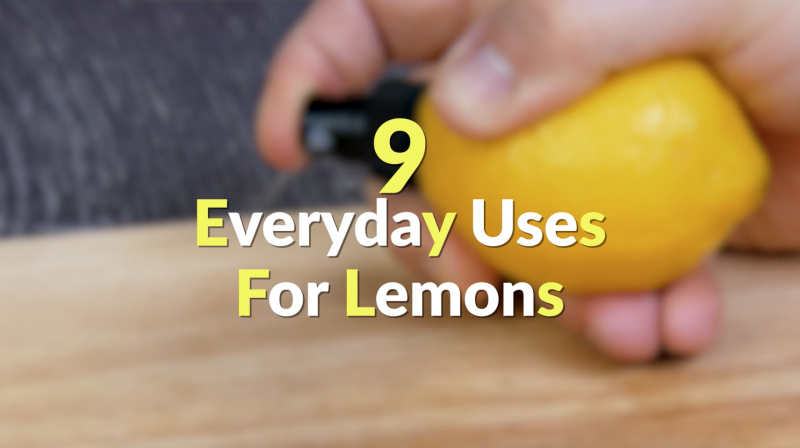 Roll a lemon back and forth on a flat surface, gently squeeze it, and then cut off the end. Slightly cut the tube of a spray bottle nozzle to fit the length of the lemon, and then stick it in the center of the lemon. 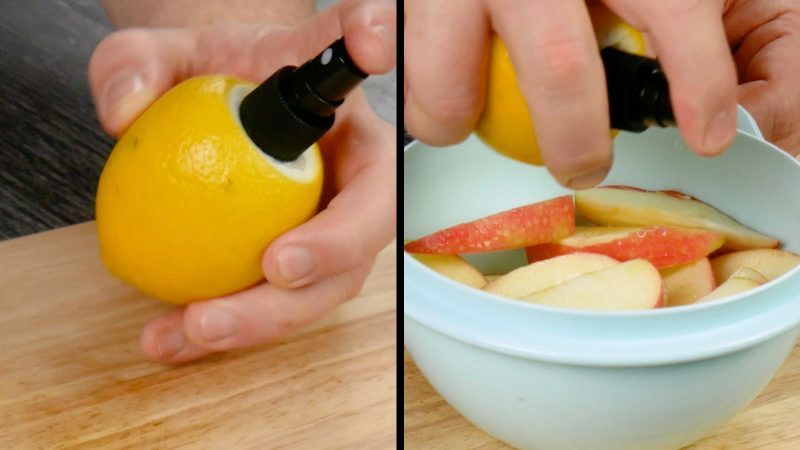 Now you can spray lemon juice directly. FYI: This is a great way to keep apple slices fresh! 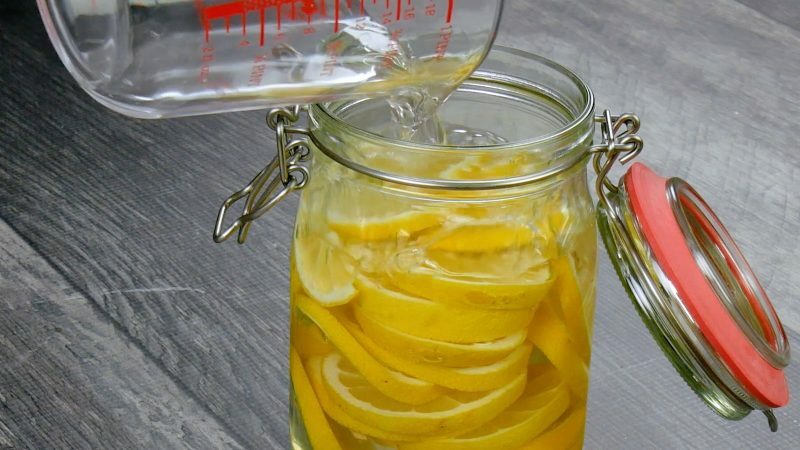 Put lemon slices in a Mason jar, fill it with vinegar, and let it sit for several days. Then pour the liquid through a sieve and add some more water for an effective all-purpose cleaner. Place some cotton pads in a small bowl and squeeze half a lemon over them. 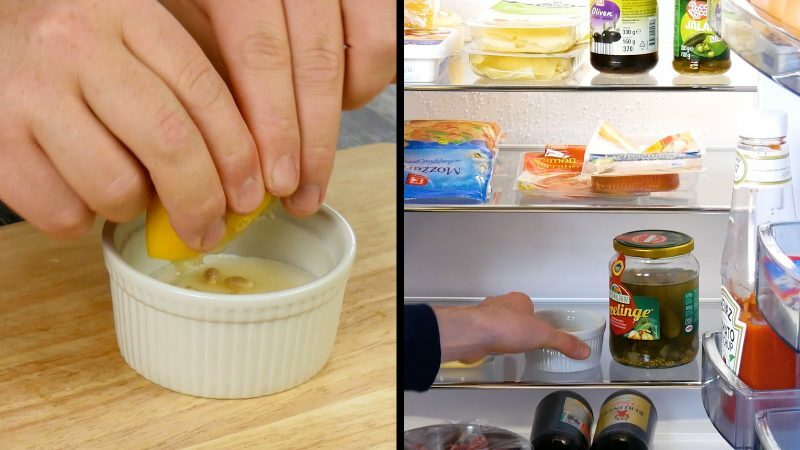 Place the bowl with the lemon-soaked cotton pads in your fridge and you'll have an instant DIY air freshener. 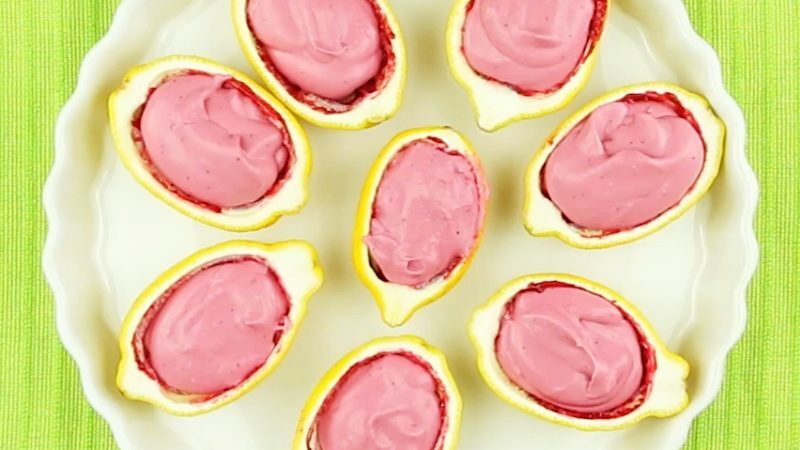 Scrape out a lemon half and fill the inside with blackberry jam and blackberry mousse for a fun and delicious dessert. 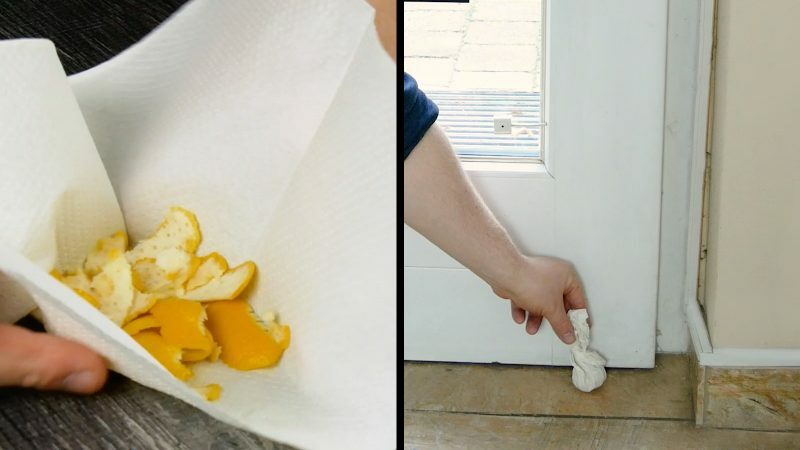 Place some lemon peels in a paper towel, wrap it up, and place the bundle near windows or doors to keep unwanted bugs out. 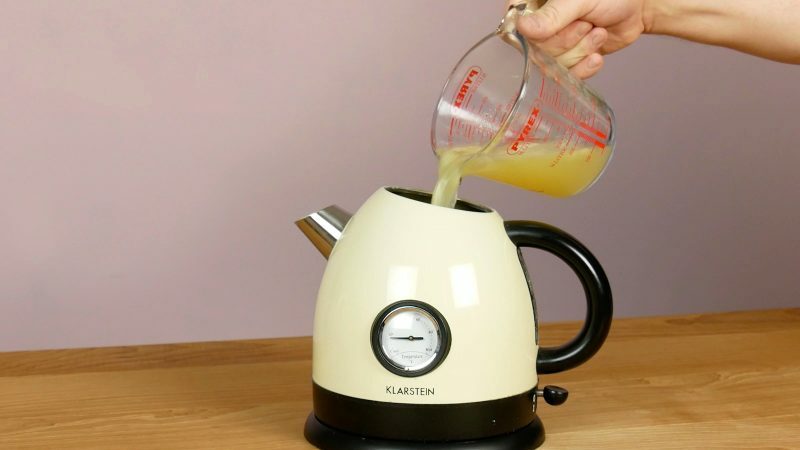 Clean the inside of your kettle by heating lemon juice in it. So the next time life gives you lemons, you can go ahead and make a cleaner, deodorizer, dessert, and so much more! If you find yourself on a bit of a lemon kick, be sure to check out these 9 Reasons To Drink Hot Lemon Water.